AKIPRESS.COM - Representatives from Kazakhstan, Kyrgyzstan, Turkmenistan and Uzbekistan participated in an OSCE-supported two-day regional seminar “Combatting financing of terrorism: best practices within the OSCE region”. The event concluded in Ashgabat on 18 September 2018. The seminar organized by the OSCE Centre in Ashgabat aimed to share international standards and best practices in the area of combating the financing of terrorism. The participants also discussed further strengthening of international and interagency co-operation between relevant state authorities. 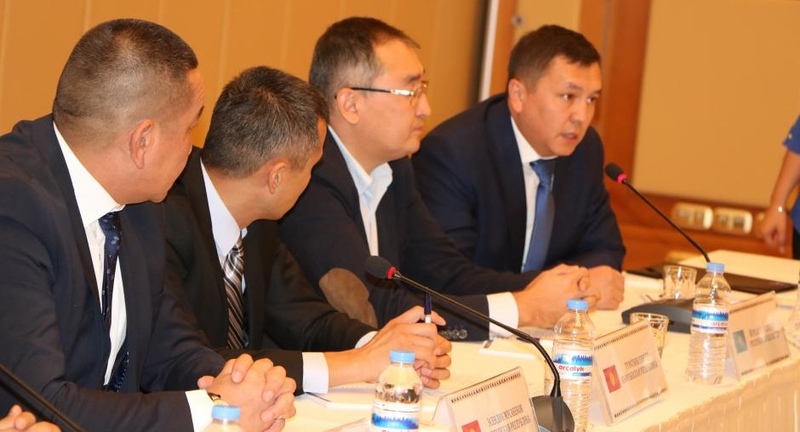 National experts from Kazakhstan, Kyrgyzstan, Turkmenistan and Uzbekistan presented their countries’ experiences in combating the financing of terrorism and the financing of foreign terrorist fighters (FTFs), highlighting the importance of the relevant legislative framework and of conducting national risk assessments. They also shared best practices in interagency interaction in the detection of the financing of terrorism and FTFs and stressed the role of international co-operation in the detection of transboundary financial flows. “The OSCE calls on its participating States to apply a coordinated approach to combating terrorism at all levels while promoting interagency and interstate co-operation as well as interaction with relevant international and regional organizations,” said Natalya Drozd, Head of the OSCE Centre in Ashgabat. “As regional co-operation is particularly important to efficiently combat financing of terrorism and extremism, we initiated this workshop to promote interaction among Central Asian states in countering this serious challenge to security,” Drozd noted.